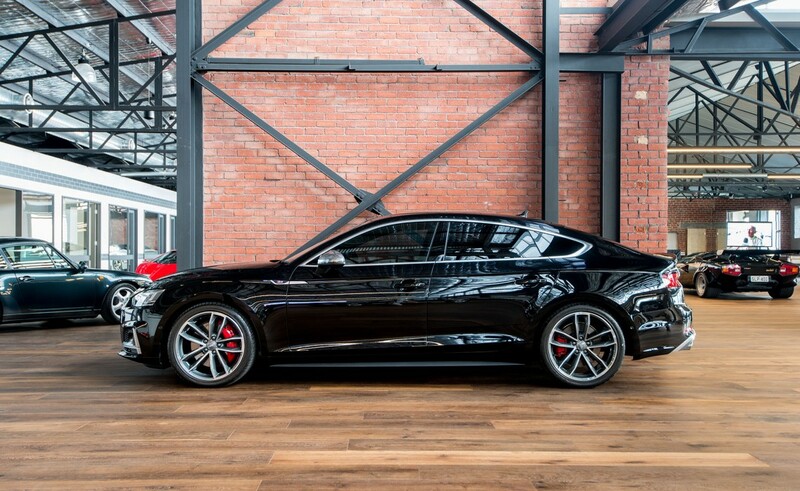 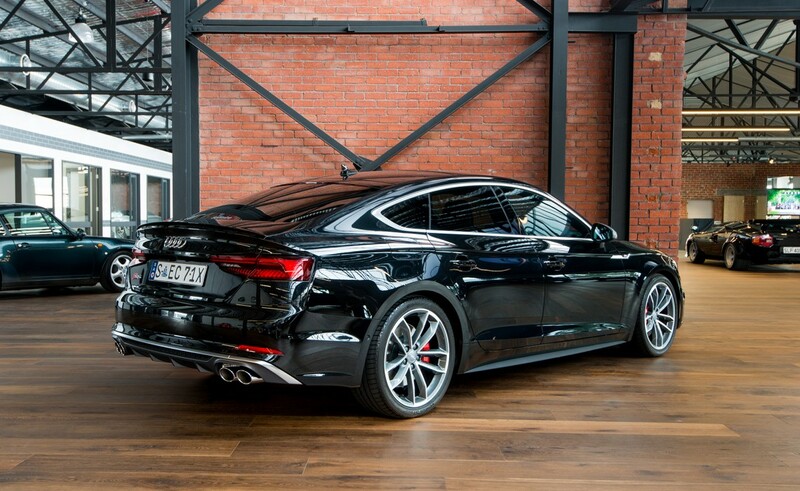 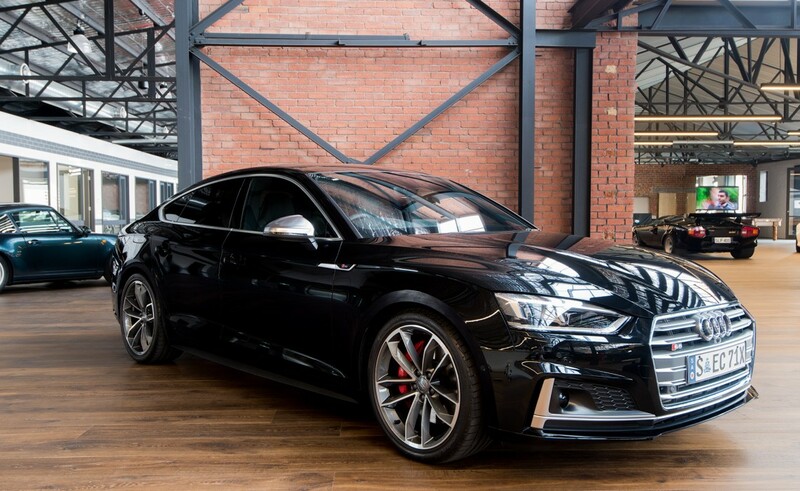 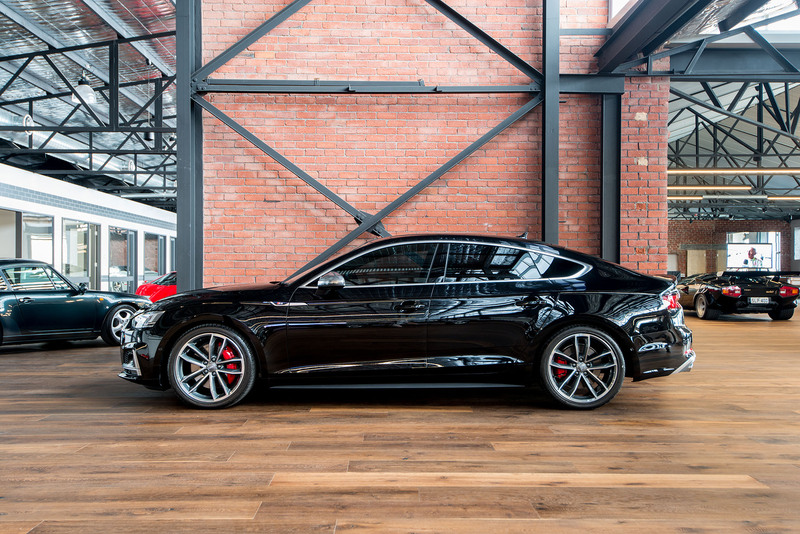 Delivered new in Adelaide in December, this as-new Audi S5 Sportback Quattro was ordered mid-2017 however is surplus to the one private owner's requirements. 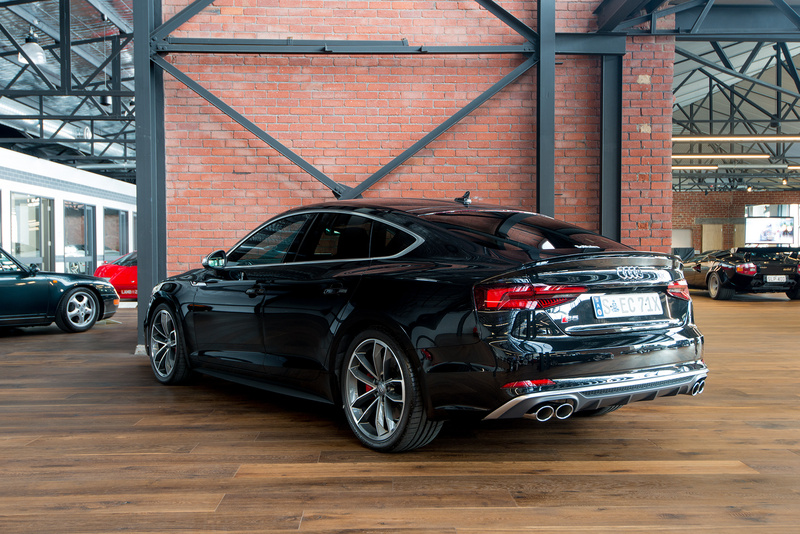 This model is very quick and sure-footed featuring a 3.0 six cylinder turbocharged engine with 245kW and 440nM or torque. 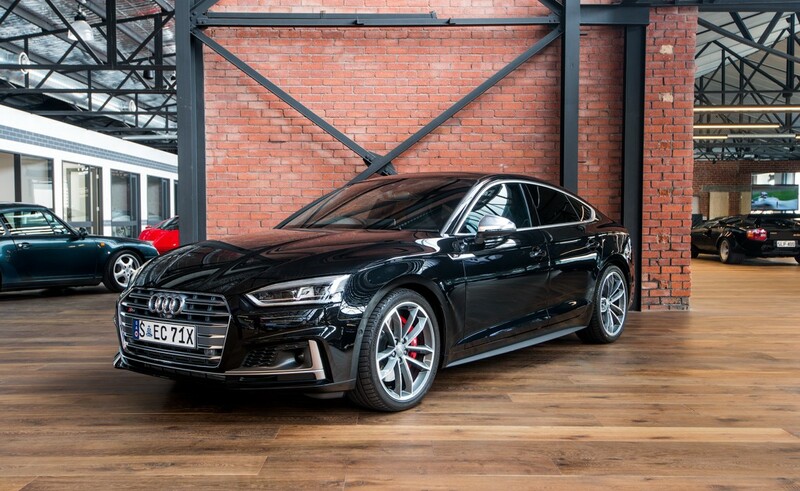 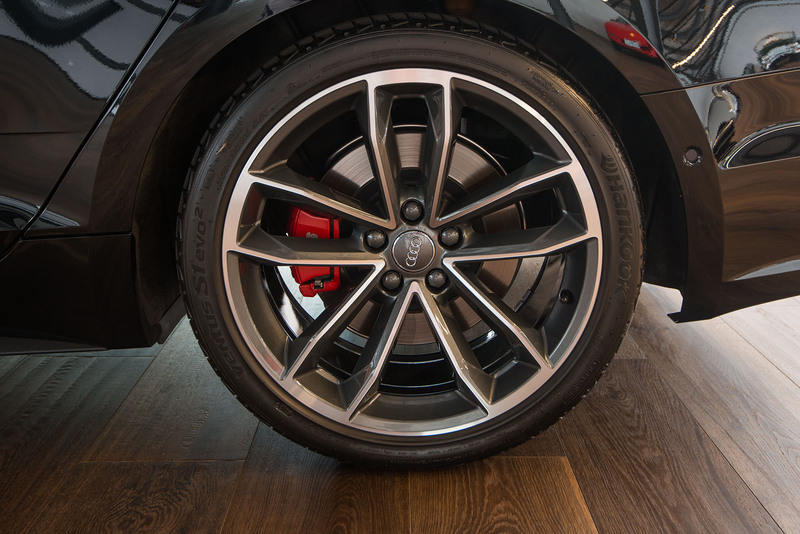 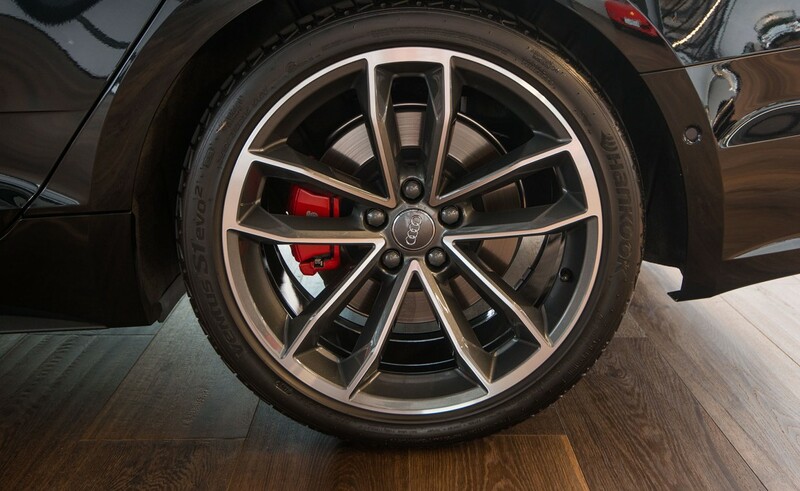 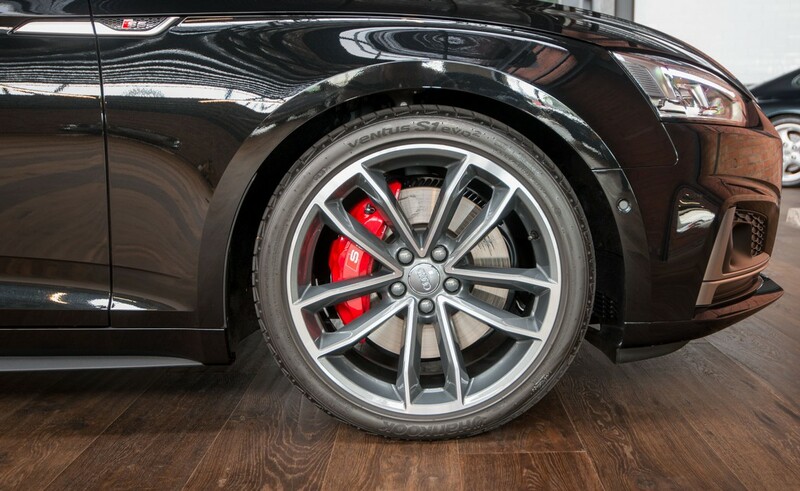 Zero to 100 km/h is just 4.7 seconds with power delivered through the Audi Quattro (all wheel drive) system via an 8 speed ZF automatic transmission. 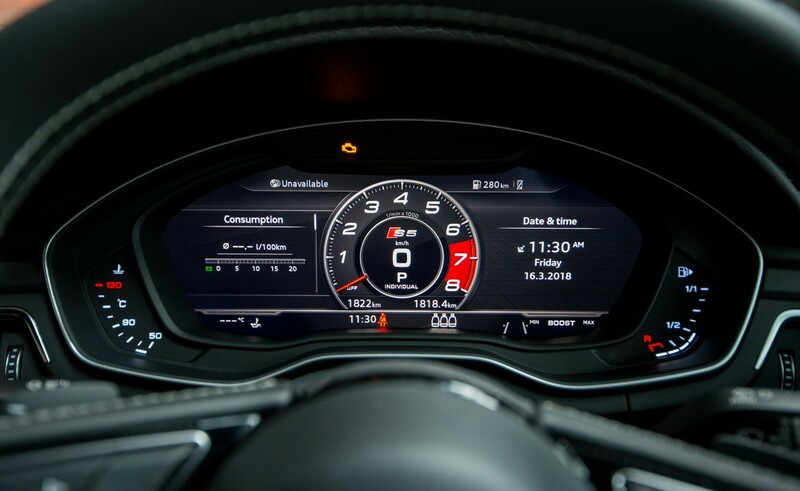 Fuel consumption is quoted as an average of just 7.7 litres per 100 kilometres. 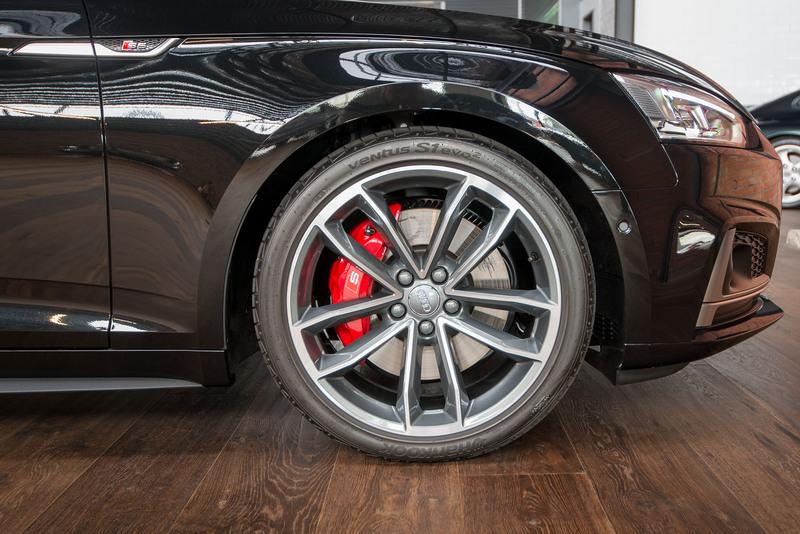 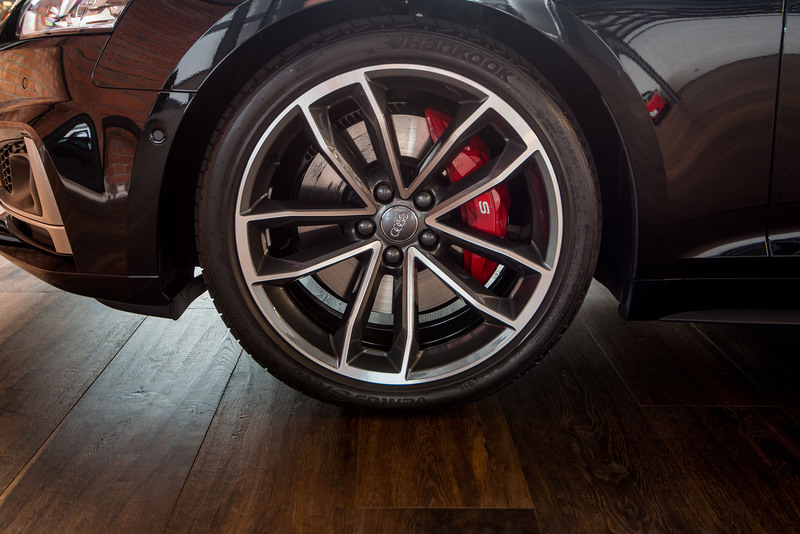 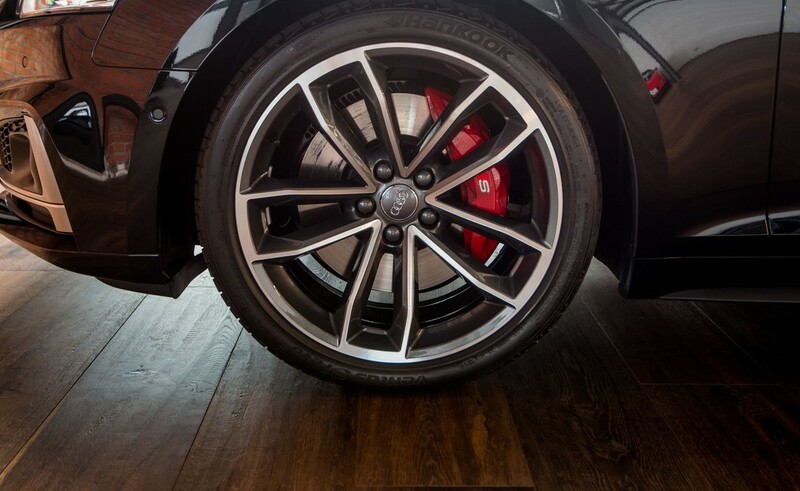 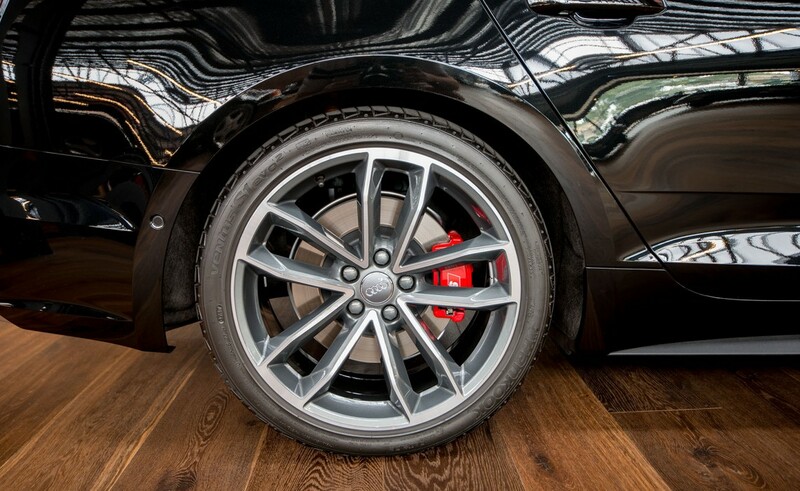 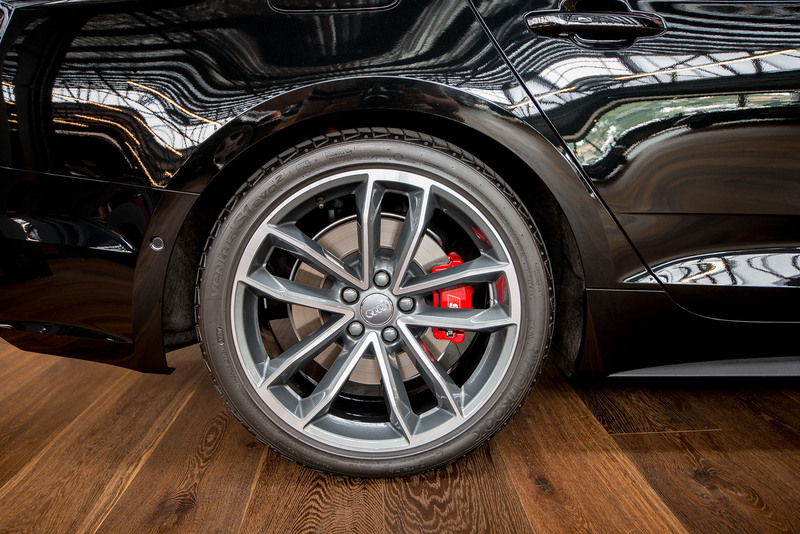 The technology of brake energy generation (converting the energy created in braking back into electricity) saves about 3% of fuel. 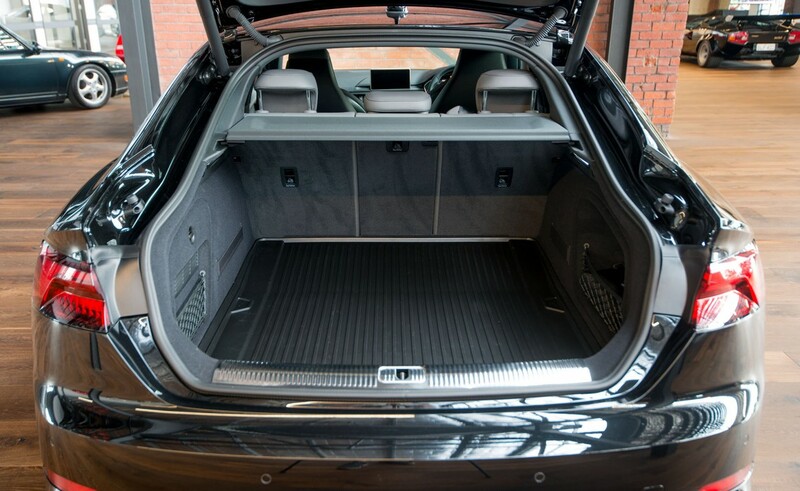 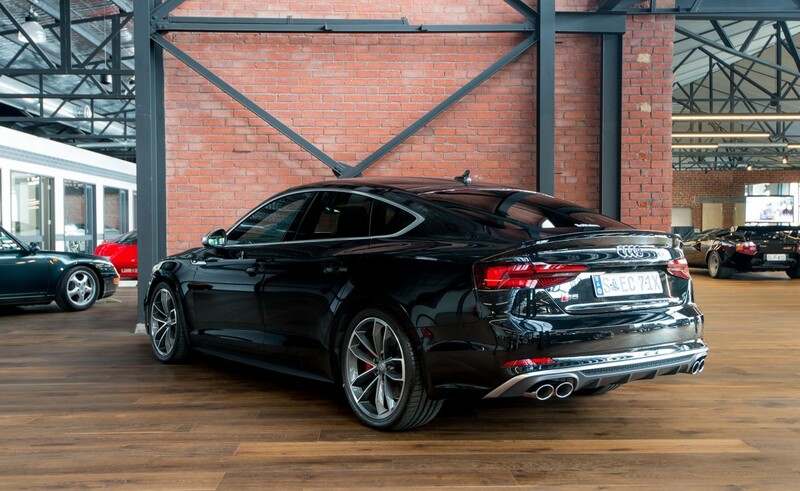 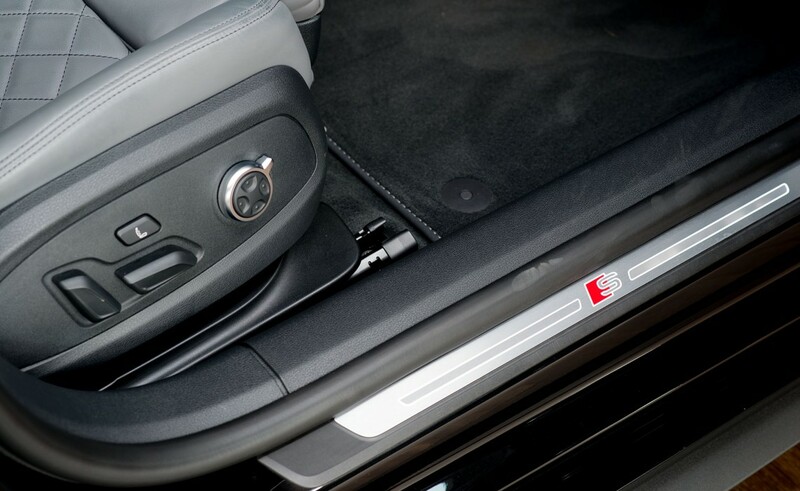 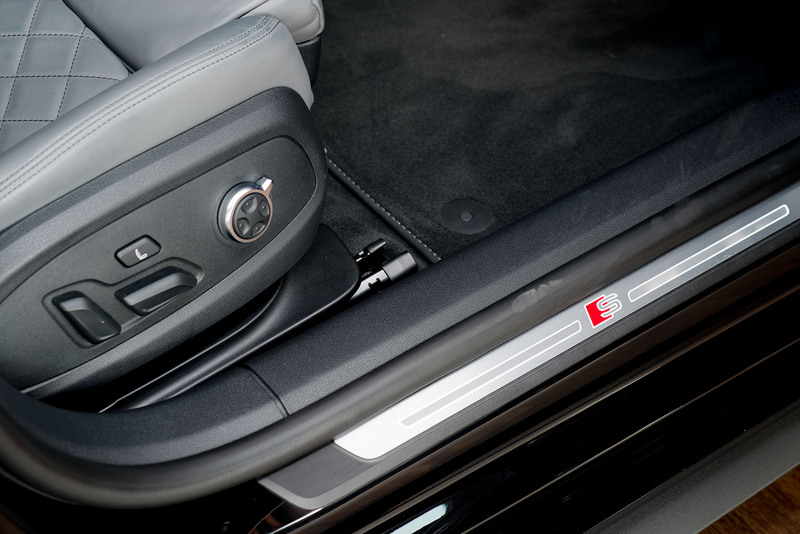 The Sportback is very stylish yet practical with a large boot space accessed via an automatic tail-gate. 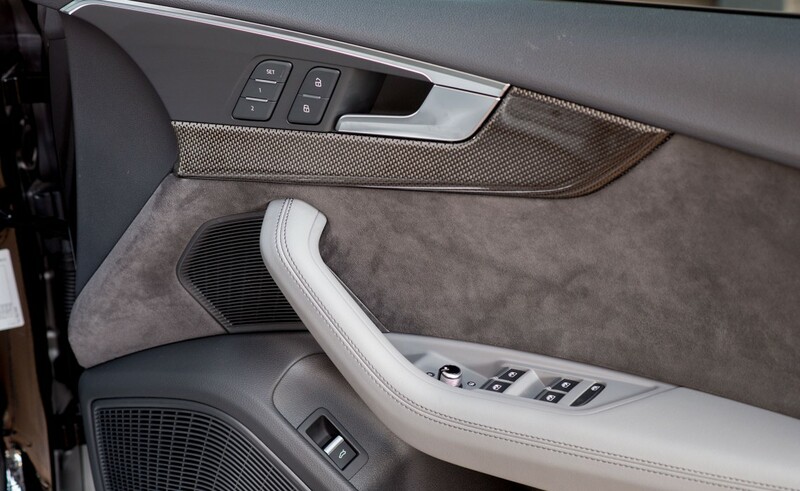 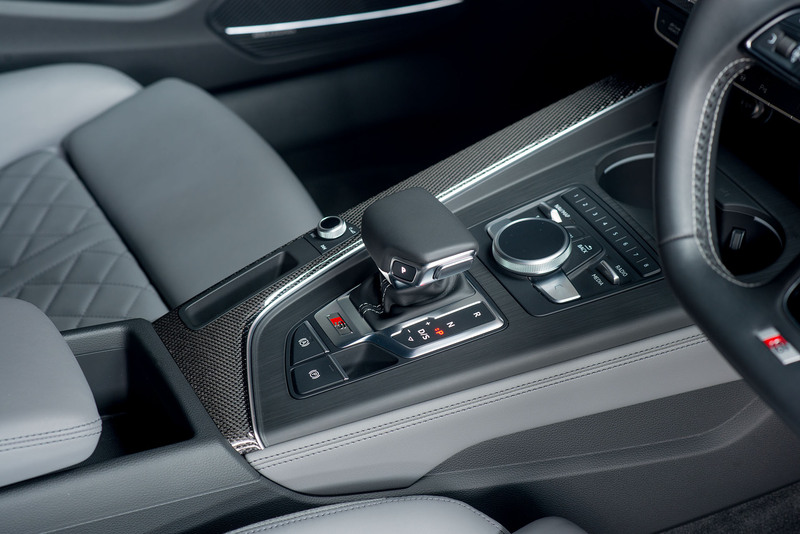 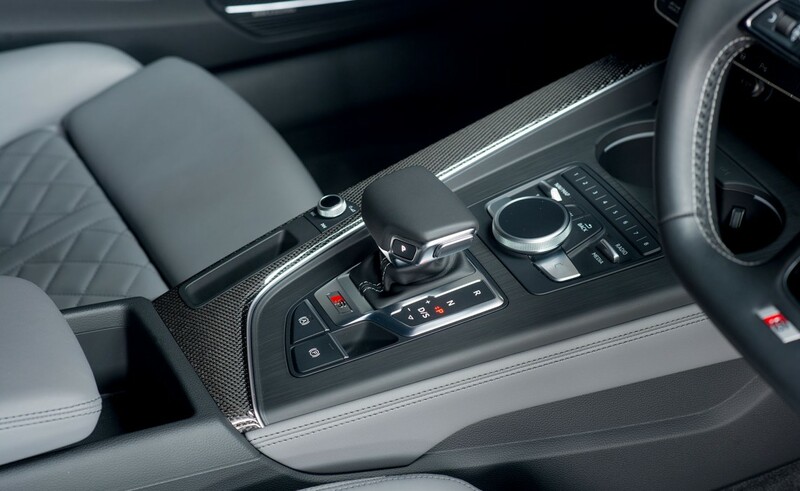 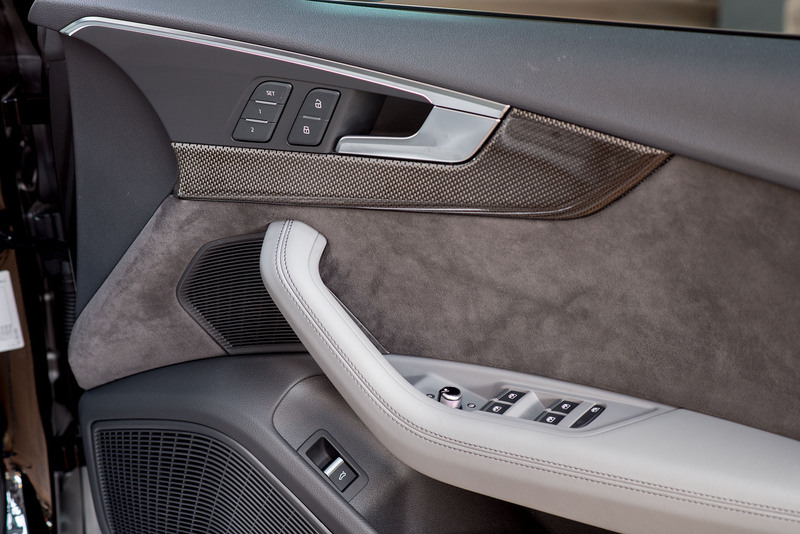 The interior is superb, with a high-tech appearance. 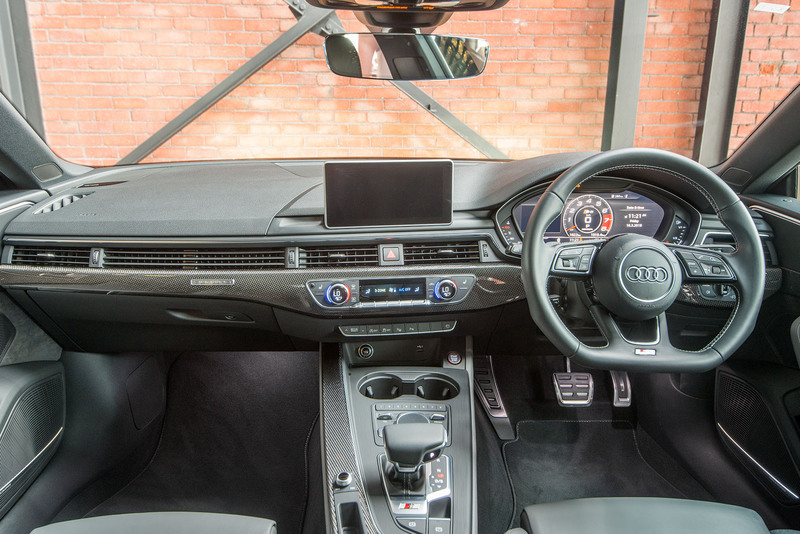 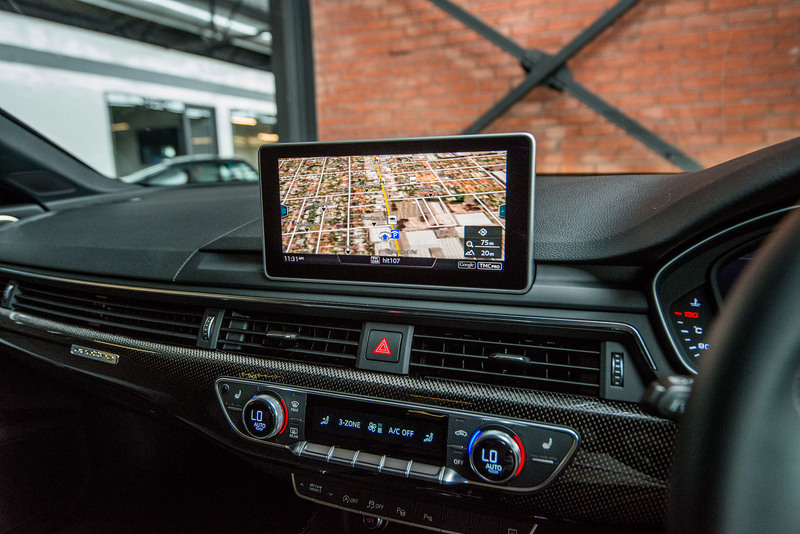 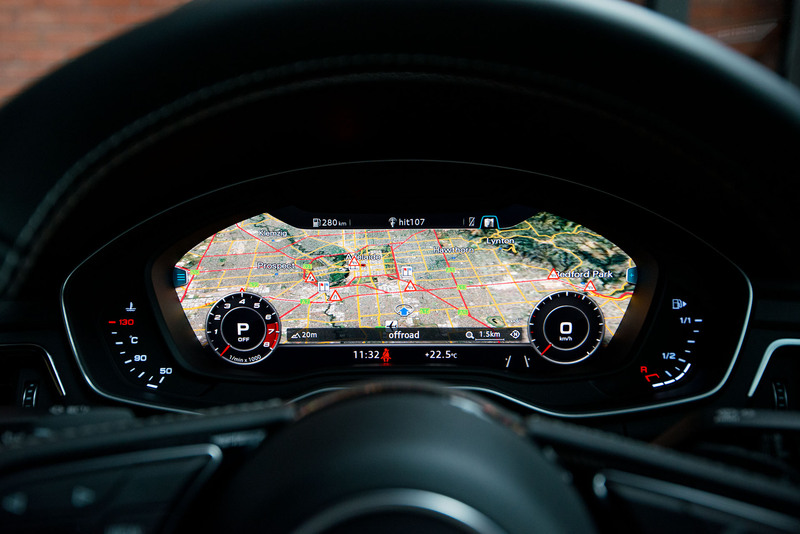 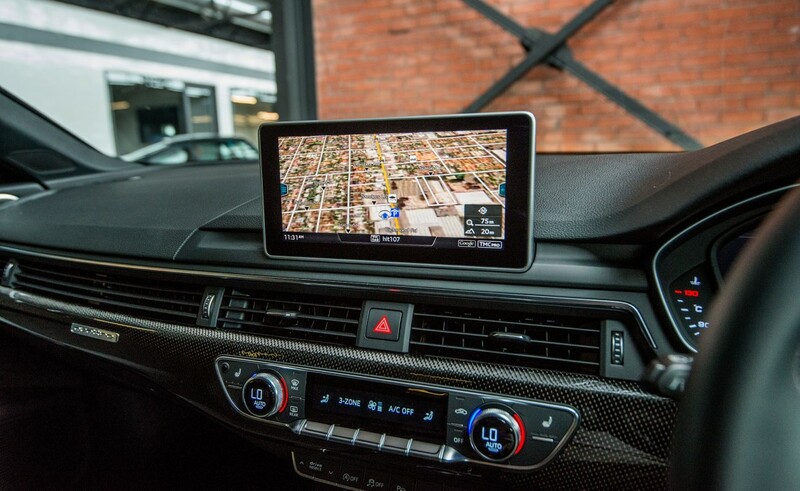 The navigation central screen is impressively large with the another wide display in front of the driver. 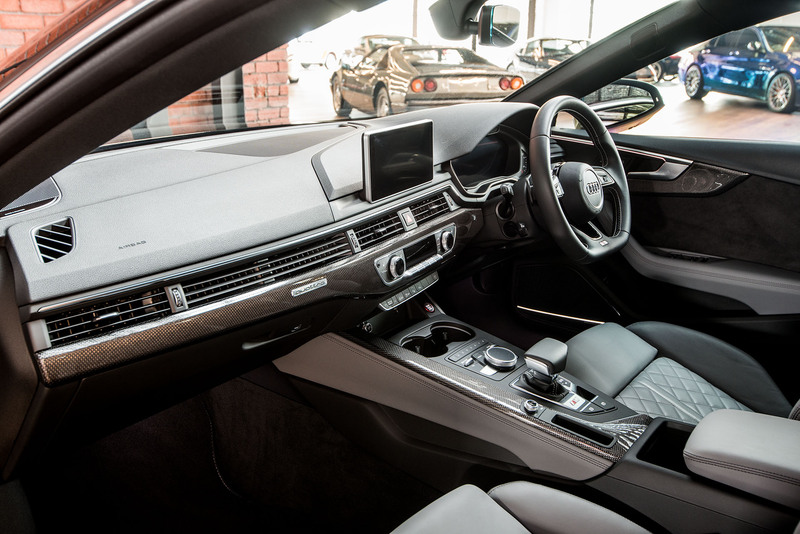 A Bang and Olufsen 3D sound system has been optioned with plenty of speakers (19?). 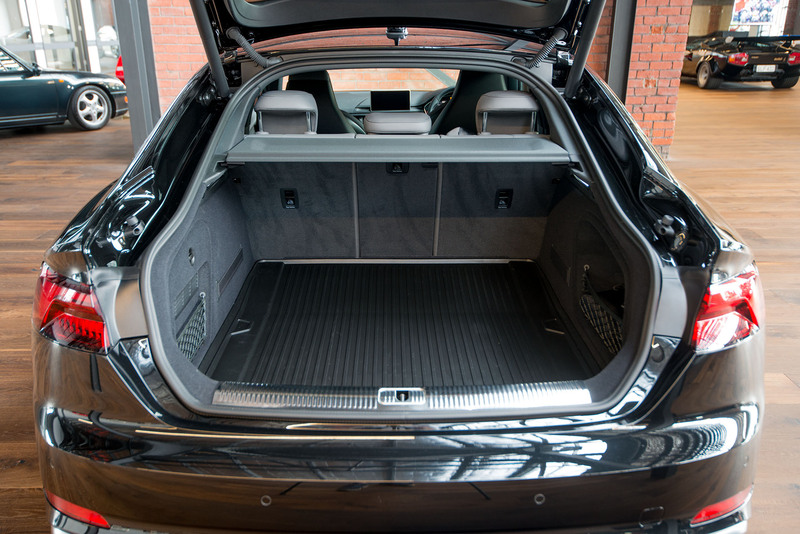 The panoramic sunroof is glass with a protective sun-blind. 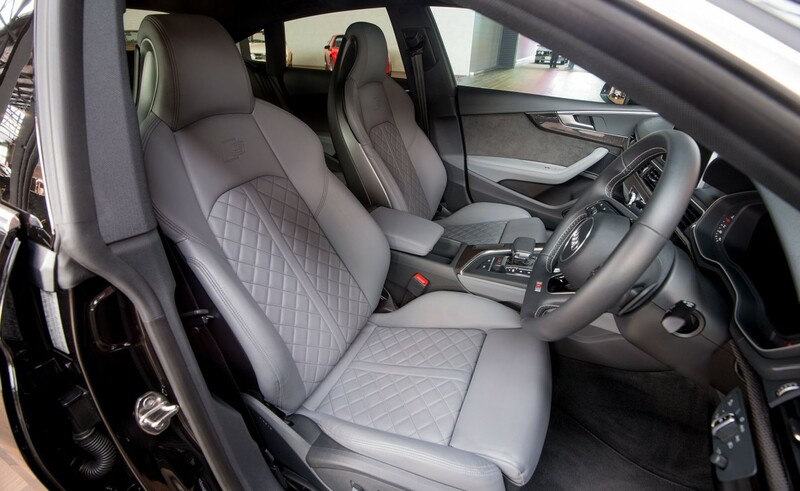 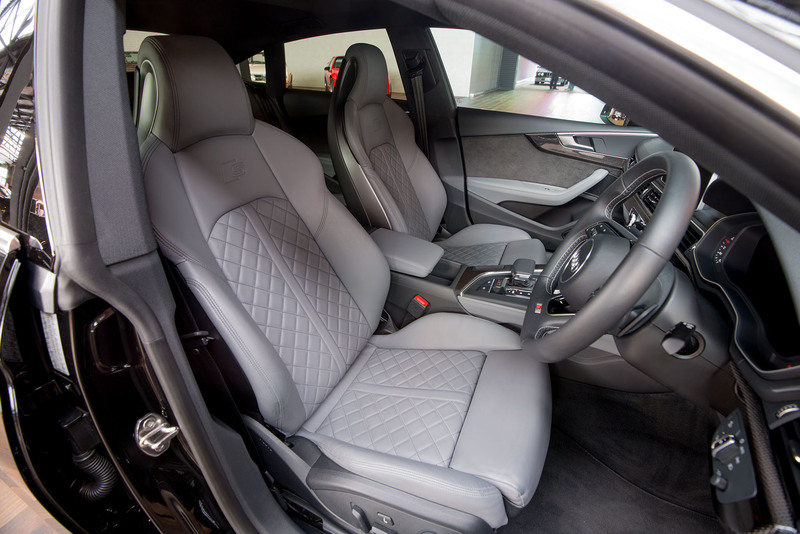 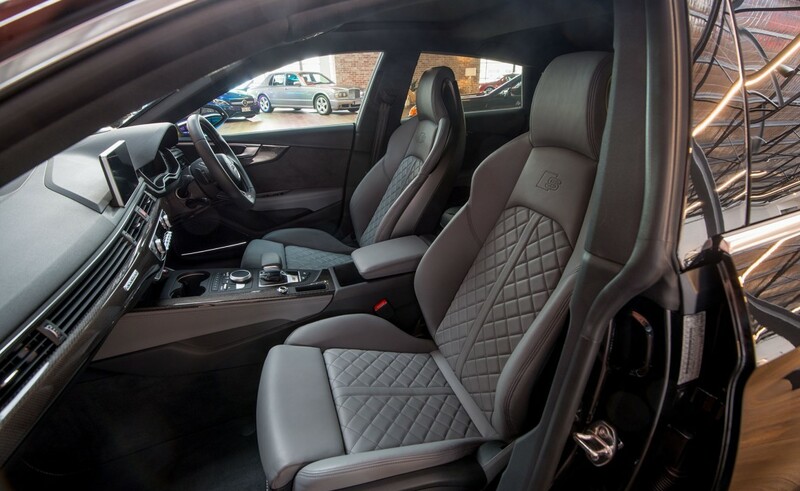 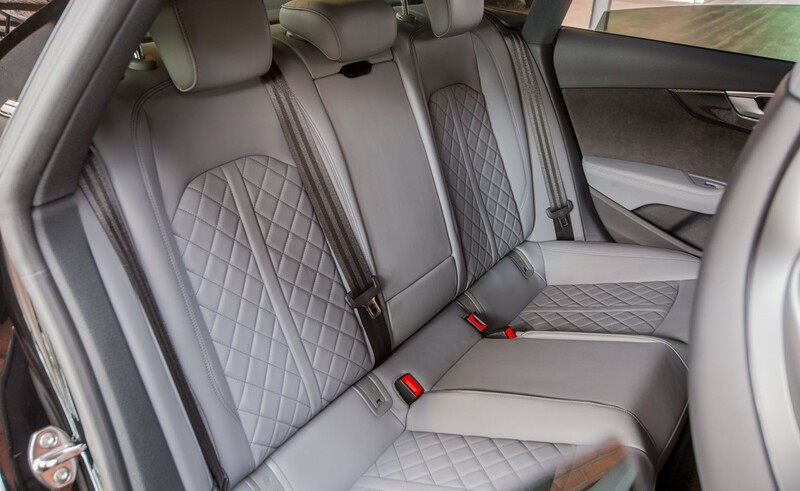 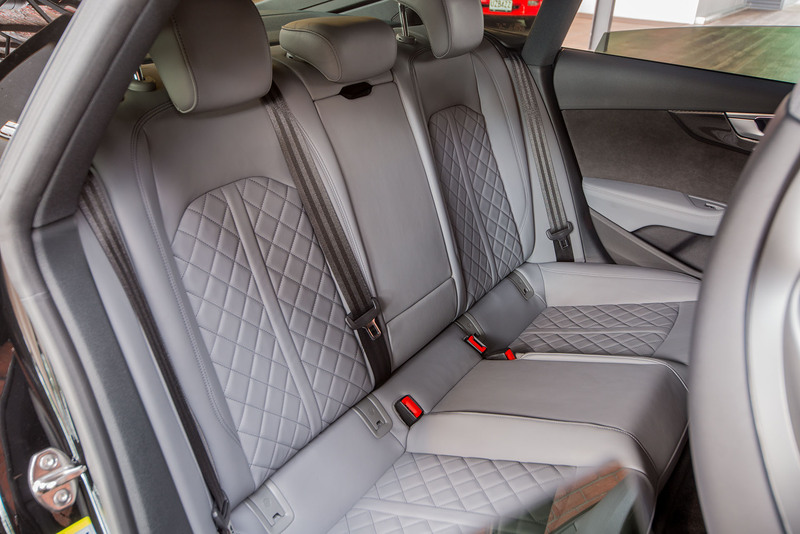 The electrically adjustable leather seats with lumbar adjustment and memory, incorporate a high-quality diamond-shaped stitching pattern. 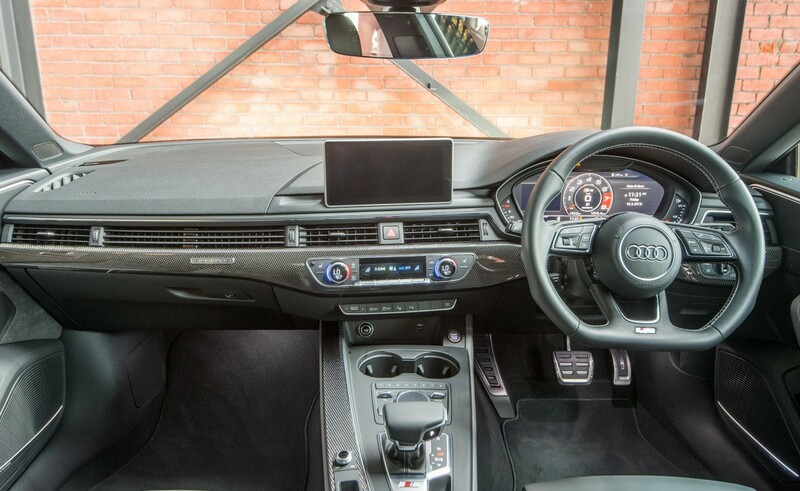 There are a myriad of standard features - too many to list. 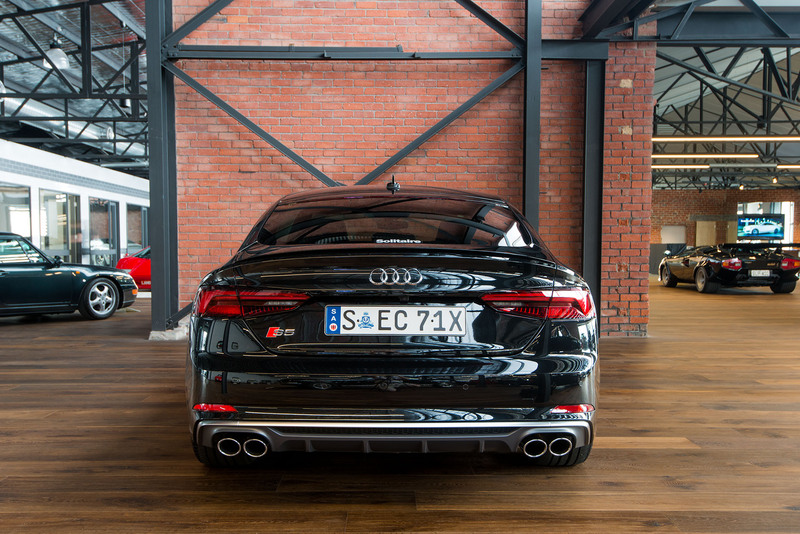 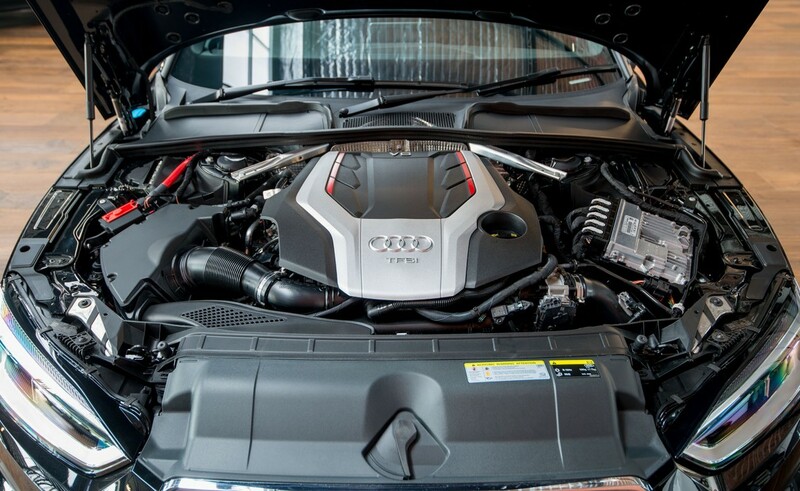 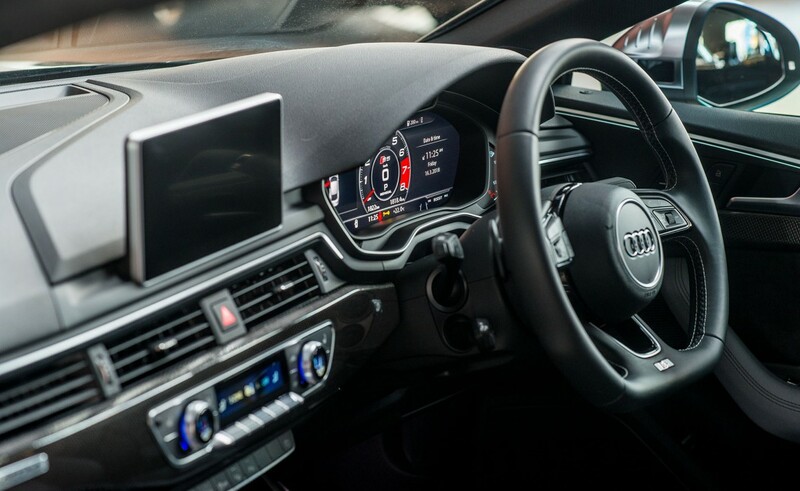 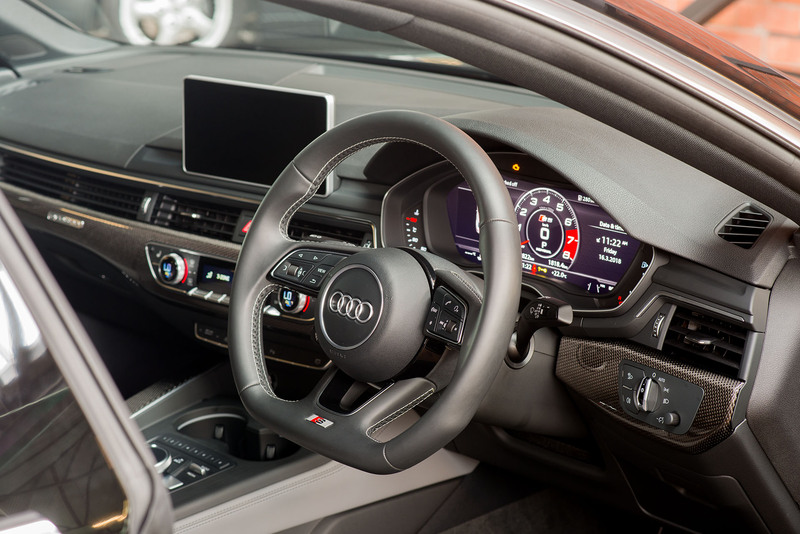 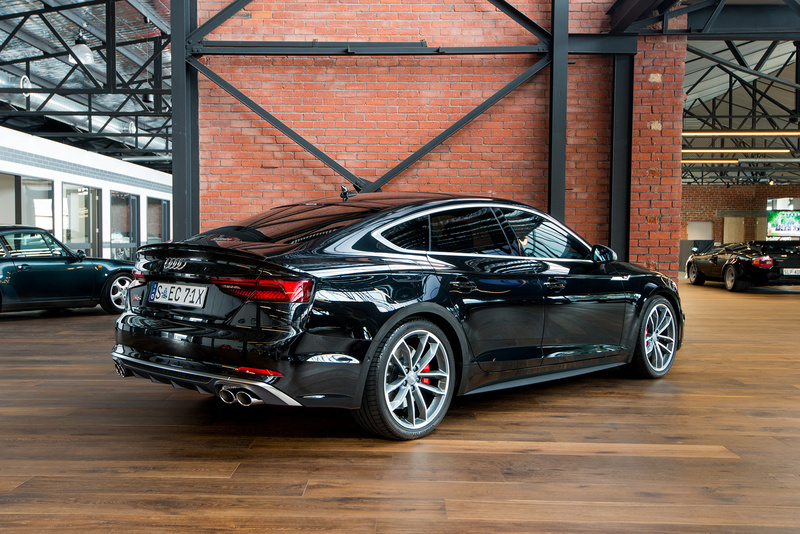 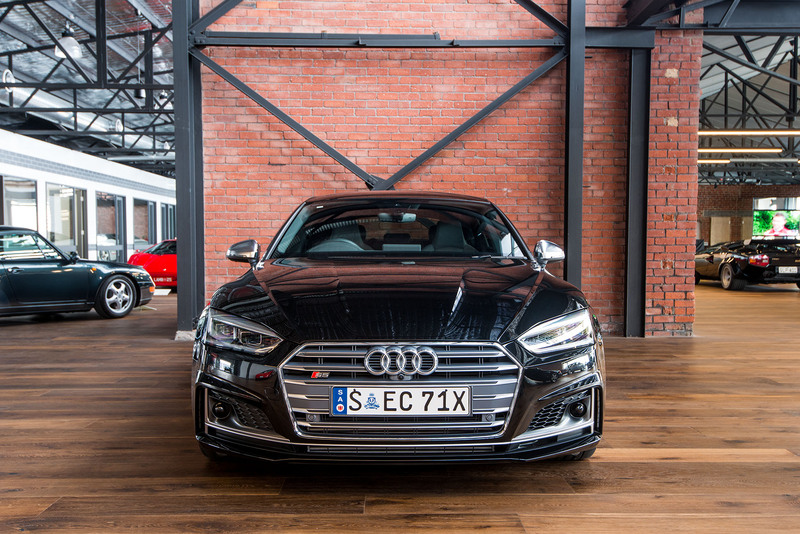 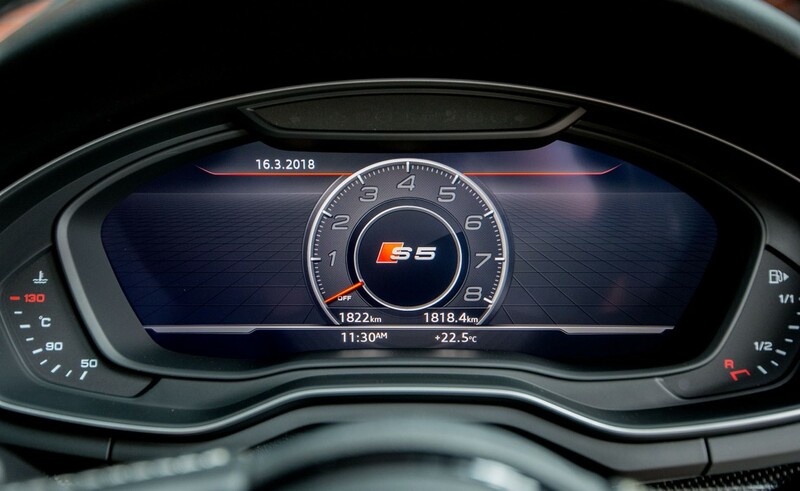 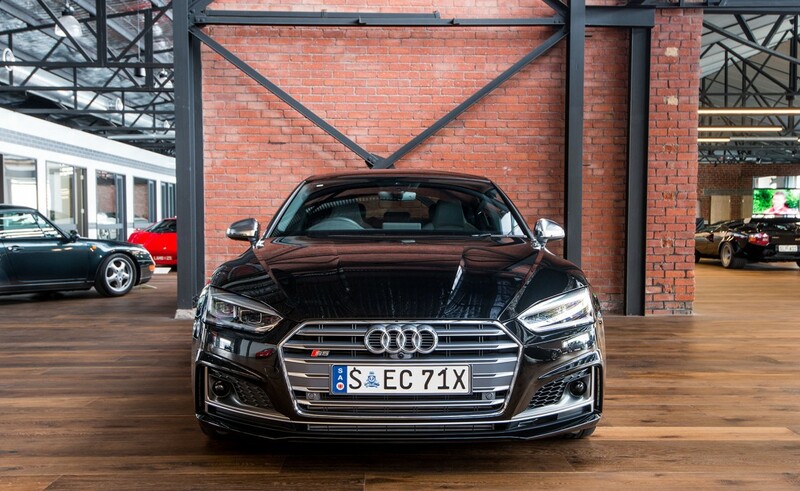 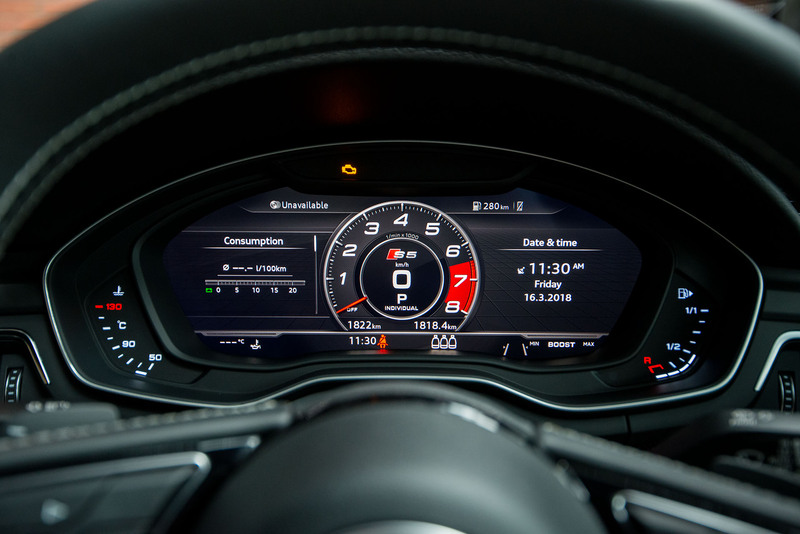 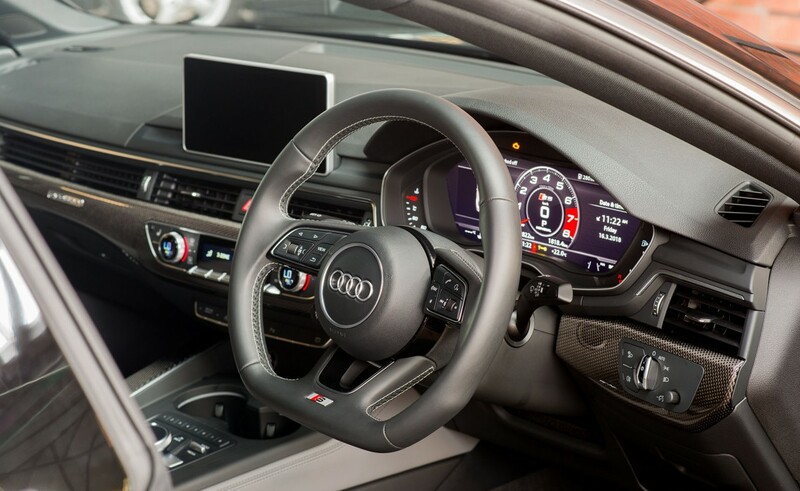 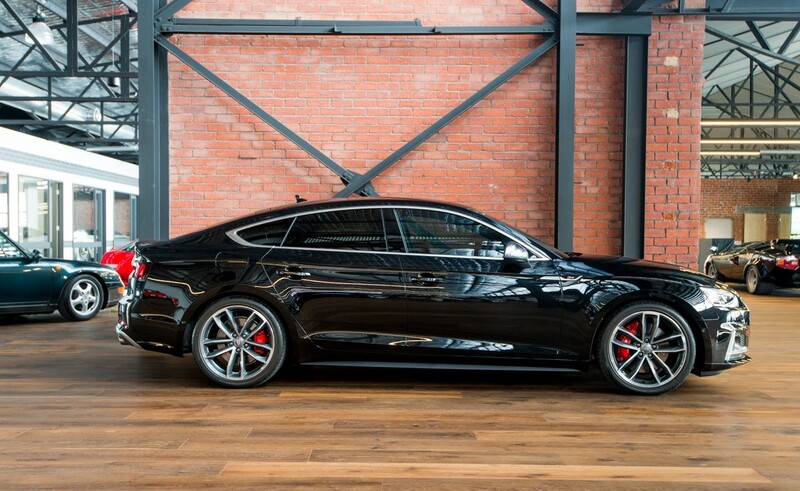 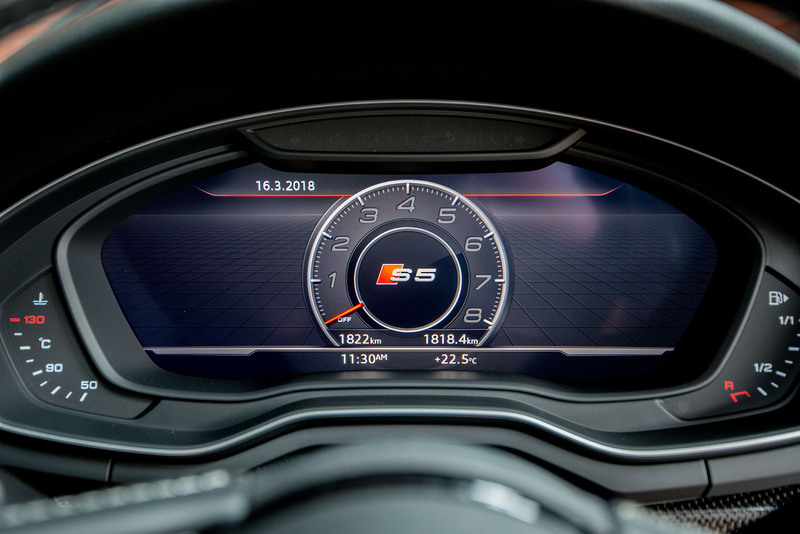 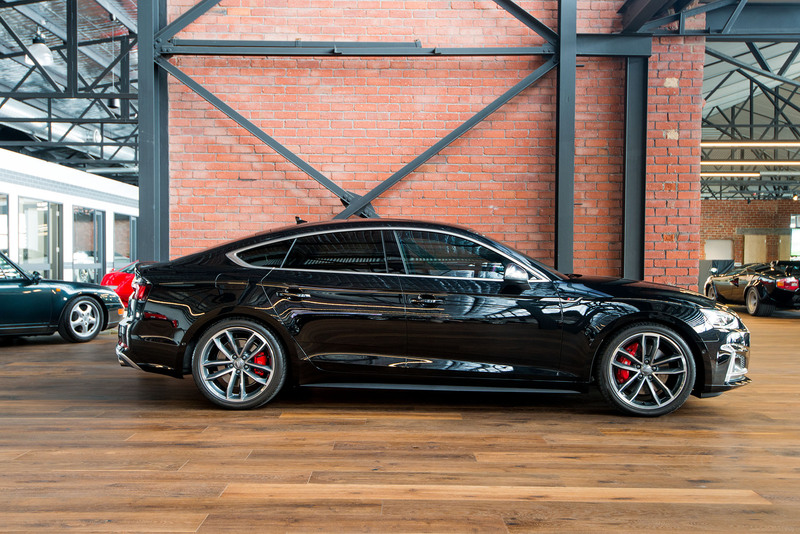 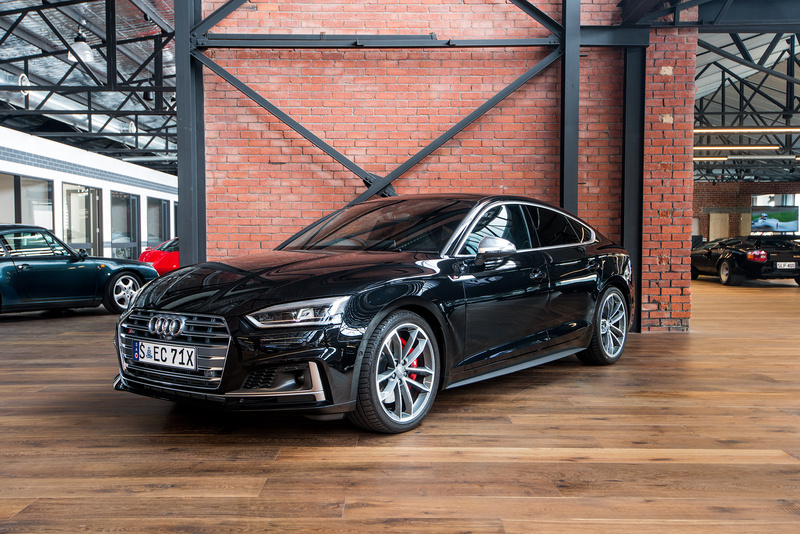 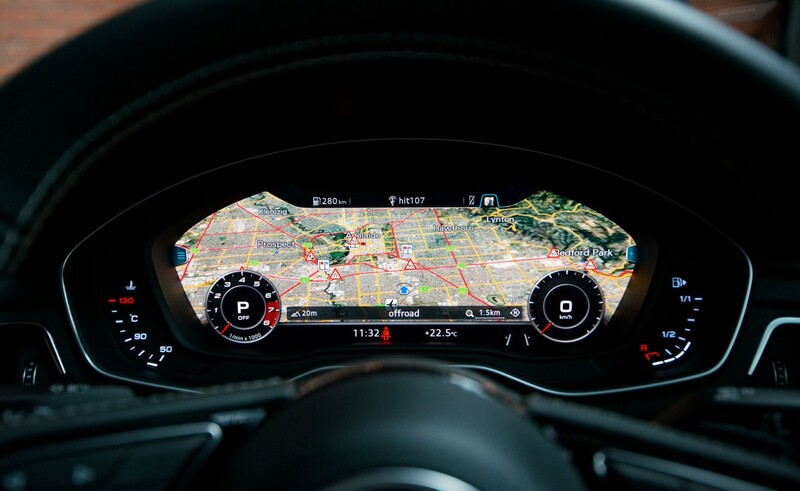 This high-end S5 also features a list of crash-avoidance technologies including automated emergency braking, adaptive cruise control with stop/go functionality in heavy traffic, lane keeping assistance, collision warning, blind-spot monitoring, automated parking and a 360 degree camera. 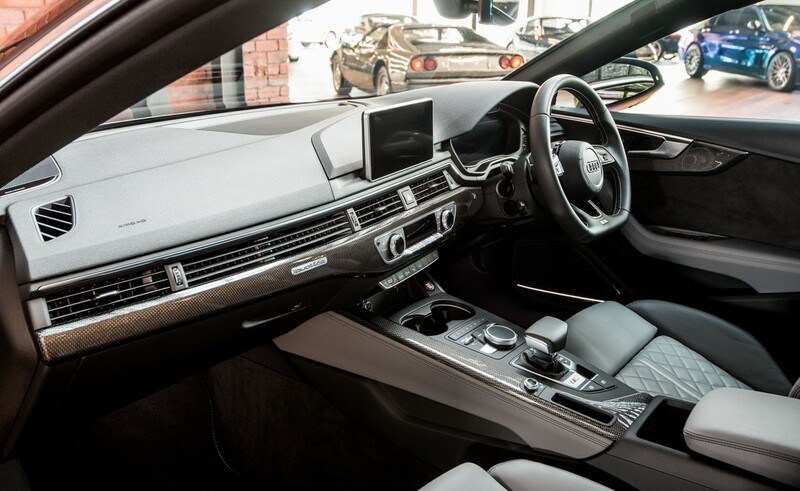 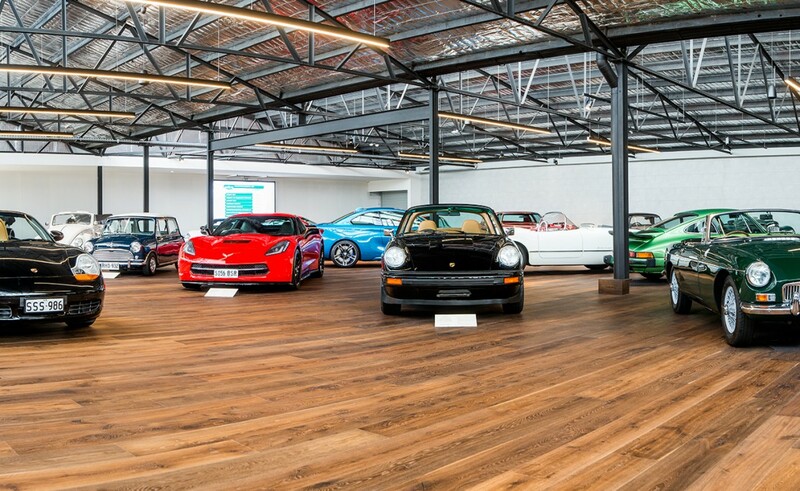 Paintwork and interior protection - a high quality Protektiv Hydro Package has been applied to the car - the exterior application is described by the manufacturer as a ceramic clear coat. 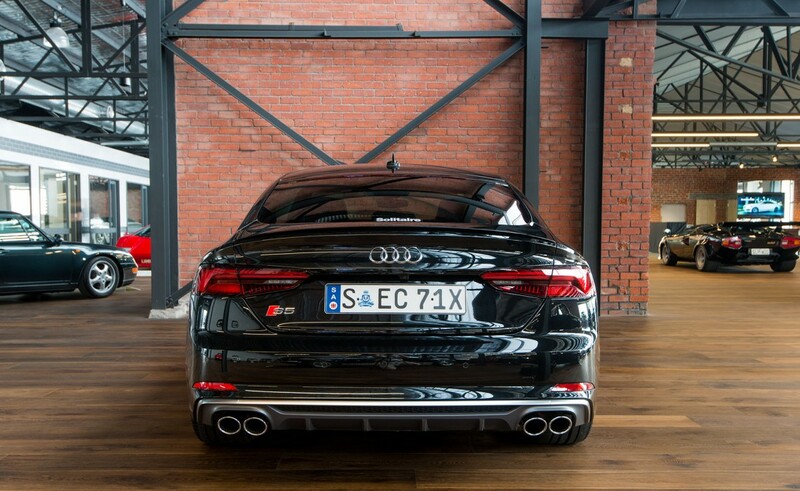 Avoid the delay in ordering an S5 Quattro with this as-new car which is available for immediate delivery.